New medical insurance policy requirements were announced in Dubai in 2013. Health insurance became compulsory for country visitor as well as the UAE residents. In 2014, the new system’s rollout started in 2014 and in several phases, the process took part and concluded in June 2016. The employers were seeking to provide the best medical insurance in Dubai and for the reasonable value to all its employees. Choosing one of the most trustworthy medical insurance companies in Dubai has become significantly important. The following health & medical insurance companies offer a wide range of medical cover for their coverage amount which is usually higher and is also widely used by international companies for their business owners, staff and senior staff in government and private organization. Following are the trustworthy & best medical insurance companies in Dubai. Oman Insurance Company established in 1975 and is owned by Mashreq Bank, which is a leading financial institution in the UAE. The chairman of this company is Abdul Aziz Abdullah Al Ghurair and the CEO is Christos Adamantiadis. The OIC or Oman Insurance Company is one of the top insurance solutions providers in the Middle East and is headquartered in Dubai, United Arab Emirates. There are 15 branches of Oman Insurance Company including the branch of Head Office-Operational and a strong presence in Qatar, Emirate in the UAE and Sultanate of Oman. This company is a professionally managed and a financially sound organization today and is rated “A Excellent” by AM Best. The facilities and benefits provided by Oman Insurance Company make them one of the recommended medial insurance companies in Dubai. For any financial plan, life insurance is a crucial component, especially if you have kids, spouse or other family members that are dependent upon your income, it is important to get yourself a suitable insurance policy. Even upon death, life insurance is payable. Knowing that you can provide the best medical care for your child gives you a peace of mind if your income has stopped. From the term medical insurance to wealth-saving options, there are many options to choose from. Now Health International Services FZ LLC is a professional international health insurance provider in Dubai and its staff is experienced and expert in global health cover and local markets. High costs linked with large medical events can now be covered with the help of Now Health International Services. People who want to be sure that can contact day-patient and in-patient healthcare truly need the lowest priced plan offered by Now Health. It covers the treatment not only in Dubai, UAE but worldwide. AFIA Insurance Brokerage was established in the year 1995 and is one of the world’s most famous insurance consultants and advisors that you’ll find in the entire Middle East. The idea of risk assessment is what the company is actually based on, even though the risk was there before the firm got established. The company has been able to gather customer’s happiness and thus has around 25,000 clients’ in its collection. The other big and small insurance companies in Dubai have partnered with AFIA Insurance Brokerage in order to serve customers and people. There are four key concepts that make up AFIA Insurance’s business protocols. These four concepts are Friendly service, Attractive price, Adequate Cover and Ideal Security and based on these, the company got its name and origin. Usually customers seek to have maximum coverage without any risks and this is how AFIA satisfies its customers. A team of professionals is possessed by this insurance based firm who fully understand the dynamics and know the market, thus it satisfies the demand of the customers with the assistance and advice that they receive. The above mentioned are the recommended medical insurance companies in Dubai. 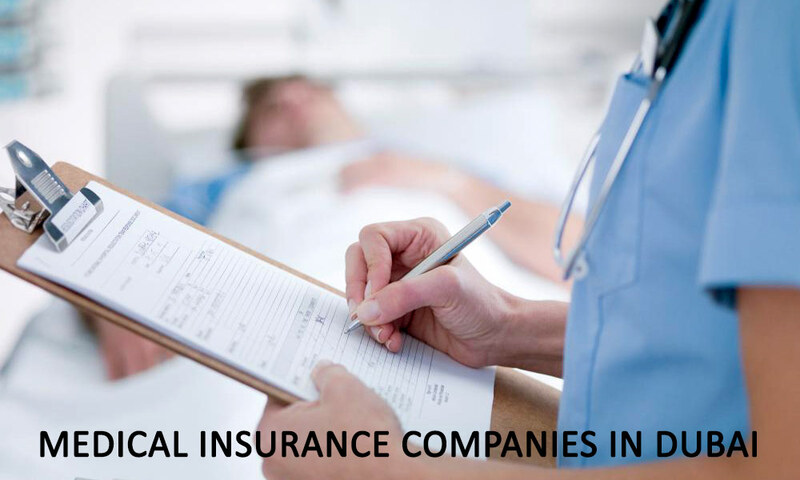 These insurance companies have been operating in Dubai for many years and providing a range of health insurance options to the clients. If you have used the services of above mentioned health insurance companies in Dubai and would like to add your voice, please do so by adding comments below. Nice and interesting article. I appreciate you for this kind of information. We also provide services such as Home Insurance ,Car Insurance,Health Insurance.Please visit my website for further assistance. Very nice list of companies. Would like to mention Nexus Advice too, especially if you are looking for a great life insurance.